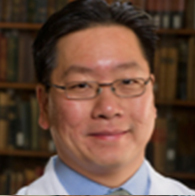 Dr. Liu’s principal research interests relate to restorative neurosurgery. Specifically, this involves elucidating strategies to restore function to the nervous system after injury due to trauma, stroke, or neurodegenerative disease. These strategies include surgical, technological (ie. advanced neuroprostheses, robotics), as well as biological (ie. stem cell transplantation). His efforts involve active collaborations with researchers at the USC Viterbi School of Engineering, the California Institute of Technology, the Applied Physics Laboratory of Johns Hopkins University, the Zilkha Neurogenetics Institute of USC, the Bill and Sue Gross Stem Cell Center of UC Irvine, Henry Samueli School of Engineering at UC Irvine, and Temple University. He received his B.S.E. in Chemical Engineering at the University of Michigan, Ann Arbor, and his PhD in Chemical/Bioengineering at Rice University before obtaining his MD from the Yale University School of Medicine. He trained in neurosurgery at the University of Southern California Affiliated Hospitals. He is presently professor of neurosurgery, neurology, and biomedical engineering at the USC Keck School of Medicine and Viterbi School of Engineering. In addition, he is the Director of the USC Neurorestoration Center (NRC), which exists to turn transformative technologies into effective therapies to restore neurological function from the unique perspective of the clinical neurosciences. Working in close partnership with academic, clinical, and industrial collaborators, the USC NRC plays a pivotal role in a broad spectrum of research activities covering biotherapeutics, neuroprosthetics, and non-invasive neuromodulation, including those actively funded by the National Science Foundation and National Institutes of Health through the BRAIN Initiative. He has long-standing collaborations at the California Institute of Technology, where he is appointed to the faculty as Visiting Associate in the Division of Biology and Bioengineering. He also serves as the Surgical Director of the USC Comprehensive Epilepsy Center. He is Editor-in-Chief of the Journal of Clinical Neuroscience. He serves as the principal neurosurgical consultant for the NCAA USC Trojans Athletics Department and as the neurosurgical liaison for the Rose Bowl Game. At Rancho Los Amigos National Rehabilitation Center, Dr. Liu is Chair of the Department of Neurosurgery and Orthopedic Surgery, where he is developing cutting-edge clinical programs in neurorestoration.